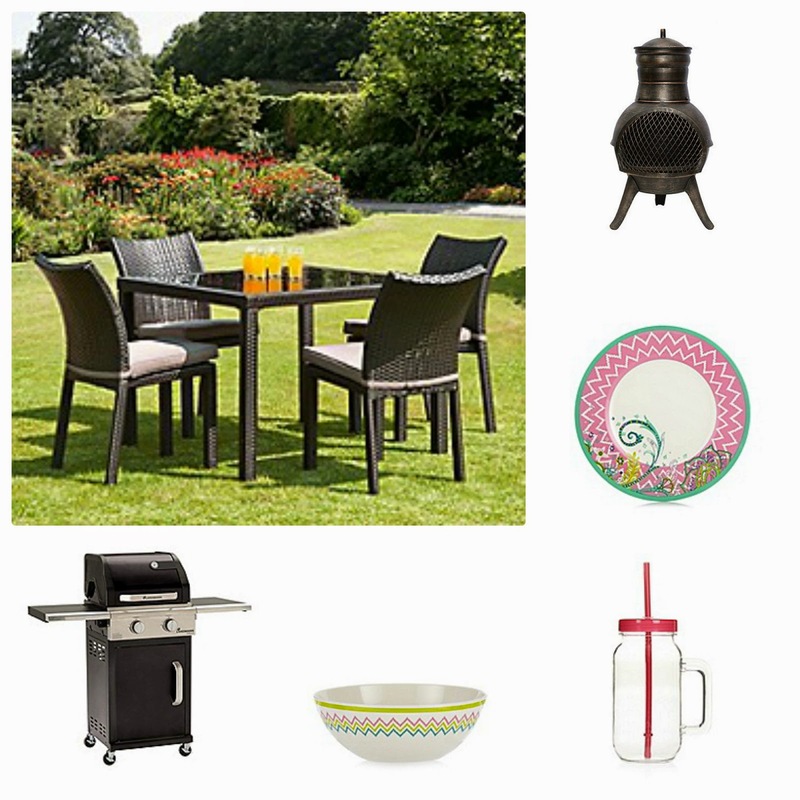 Debenhams are holding a fantastic Easter Blogger competition to win a Garden Party Set worth £1500 you can see the details here. I dread Spring coming around, my garden is a nightmare and there is nothing I would like more than to be able to sit outside with a nice drink and relax, instead I stare at a garden of chaos. Nothing matches in my garden and this is a huge problem for me, everything seems misplaced, definitely not a tranquil place to sit after a hard day at work. To be fair I have usually started sprucing things up for planting etc before now, but due to hubby's brother being seriously ill with leukemia and spending every spare minute visiting and making sure his mum is ok, I just haven't got around to it. The patio is in desperate need of an uplift and fingers crossed if the weather is fine this weekend I will be able to start, heaven help anything that is not attached to the ground because it will be recycled. Below is my idea of garden heaven, a place to sit where I can enjoy good food and a crafty cocktail whilst keeping warm next to my chimenea. Thank you Debenhams for this marvellous Easter competition and I hope you like my entry and mood board. 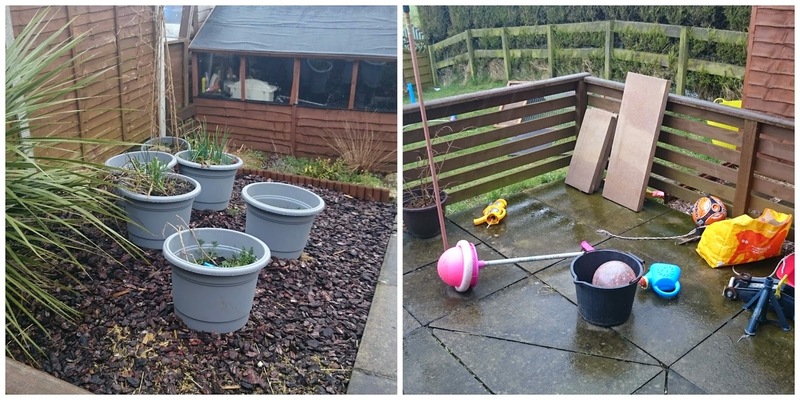 love this time of year when you can start getting the garden summer ready.